Washington D.C., Mar 30, 2017 / 03:02 am (CNA/EWTN News).- In recent months, national debates over immigration and deportation have reached a fever pitch in the wake of President Trump’s election. Born in Monterrey, Mexico, the archbishop explained that he too was an immigrant, even though he has been an American citizen for more than 20 years. He pointed out that his family has been living in what is now Texas since the early 19th Century, and his family’s relationship to both America and immigration reaches back generations. He also explained that his archdiocese – the Archdiocese of Los Angeles – is not only the largest, with around 5 million Catholics, but the most diverse. Within the archdiocese, Mass is celebrated and parishioners ministered to in more than 40 languages, from nearly every country in Latin America, Asia, Africa and the Middle East. Nearly one million of these immigrants who live within the Archdiocese of Los Angeles are undocumented. 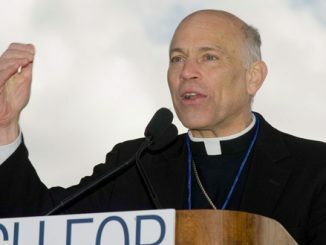 Archbishop Gomez argued that this issue of large numbers of undocumented persons is something his adopted country desperately needs to address. This is incredibly important, he said, not only for immigrants and their families, but for America as a whole. “Everybody right now knows that our immigration system is totally broken and needs to be fixed,” the archbishop said. However, while the United States has a right to secure its borders and enforce its laws, it also has to take responsibility for creating and benefiting from the situation that lead more than 11 million people to come to the country without documentation, he said. “The only people we are punishing is the undocumented workers,” he charged. “They are the only ones.” While some punishment, such as community service or other requirements to stay in the United States may be appropriate, Archbishop Gomez commented, it is unfair to the families of nearly 11 million people to deport people with families – some of whom have been here for years. Archbishop Gomez pointed out that over a quarter of deportations break up families, and overwhelming majority of these deportations do not apply to violent criminals. 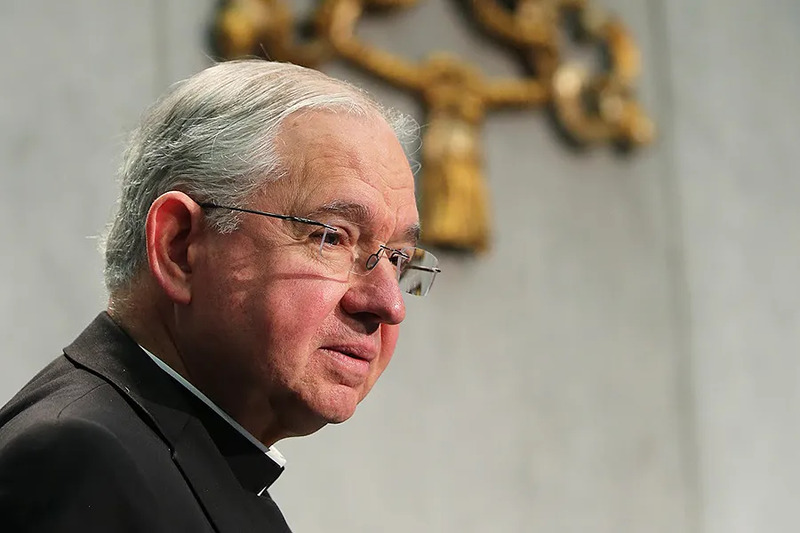 While some common place policies could quickly resolve the issues surrounding immigration, Archbishop Gomez argued that the real conflict has more to do with ongoing questions about America – questions like what it means to be an American and what America’s mission is in the world. Yet, the history of America owes much to its immigrant – particularly Hispanic – roots, which long predate the arrival of English settlers, the archbishop said. Conceptions of American identity that don’t incorporate the rich history of these groups, he said, are not only incomplete and inarticulate, they are not as well-set to adjust to the changing landscape of the United States. America is changing, and if America wants to be great, he argued, it needs to speak to the conscience and realities of the United States.